thegoldendoubloon has no other items for sale. NWOT Lululemon Women's Swiftly Racerback, hot pink size (CAN) 12 (AUS) 16. 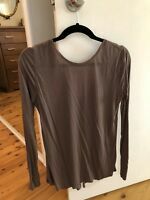 NWOT Lululemon Hotty Hot Short Long, in heathered black, size (CAN) 12 (AUS) 16.